Whilst my blog has never really fit into any one category, when I first started bethanyworrall.com I wrote a lot about beauty. There were lots of hauls, thanks to my student loan and a good number of reviews. As I started to develop my writing style and felt more comfortable with my little space on the internet I wrote less of these posts and moved into my ranty current issues posts. Whilst I love writing those posts, I do miss having a good haul appearing! 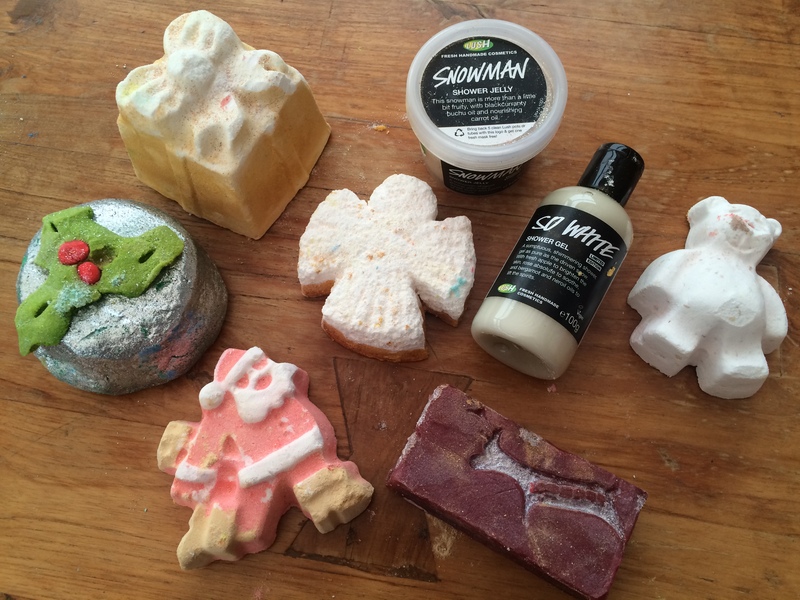 I placed an order in the Lush Sale on Boxing Day… eventually! The site had a lot of issues and as I got very frustrated with it I ended up buying two gift sets instead of single products. I probably didn’t save as much money, but at that point I didn’t care too much. I ended up going for Star of Wonder and Santa Claus is Coming to Town. I can’t remember how much these were but with postage I spent around £35. When they eventually got delivered (in the biggest box I’ve ever seen, filled with those annoying things that end up EVERYWHERE) they included 14 products, which will see me through a good few months! I bought my sister this for her birthday and as this bubble bar last a few uses, she left it by the bath. This meant I could sneakily add some to my bath and try it out for myself. It’s lovely and although it’s a glittery one (I know a lot of people hate glitter ones) I didn’t end up looking like a glitter ball once I got out the bath! This is a first try for me but it’s described as ‘crisp apple’ and it smells amazing! I have read a few reviews of this little guy and although he doesn’t seem to ‘dash’ around the bath as his name suggests, a lot of people like him. Looking forward to trying him out! Can someone please tell me what scent this is, it says lingonberry but I’m sure there are other Lush products with this scent? It’s AMAZING. I’m not one to use soap bars so sadly my mum will end up with this. I’ll just enjoy it’s smell for now! I adore this one! Last year I bought about 6 in the Boxing Day sale and made used them sparingly so they lasted. If you managed to get your hands on these, fabulous choice. I love bath melts and think this one is so pretty. It’s an angel on a bed on glitter which hopefully won’t leave me looking like a glitter ball. I’m so looking forward to trying this, I love anything thats a bit different! I’ve never tried any of their shower jelly’s before as I’ve been reluctant to pay for a tub and hate it, so was happy to see it included in this box. I adore Butterbear, he’s so cute and one of the cheaper bath bombs. He leaves your skin feeling amazing – I’d definitely recommend it! I’ve tried this one before and although it wasn’t my favourite it smells really nice and leaves your bath looking pretty cool. I originally thought this was a bath melt, but thanks to one of my friends Lucy, she gave me the heads up that it is in fact a massage bar. I love massage bars and the Snow Fairy scent is one of my favourites, so this is a winner! This comes out every Christmas and I always try and a nab a bottle, even if it’s the small one like this. I have only just finished last years bottle – I like to save it for when I’m feeling like I need one of those really long baths, the scent is just heaven. I have never tried this before as it is literally a glitter bomb. I’m a bit worried I’ll be covered in glitter after a bath with this, but looking forward to trying it out! By far one of my favourite lush products – with the amazing scent of Snow Fairy it leaves your bubbles pink. AMAZING. A product that came out for Bonfire Night, I never got chance to get my hands on one before now. I’m really looking forward to giving this a whirl, and happy it will last a few baths due to it’s size! So many lovely products, great haul! 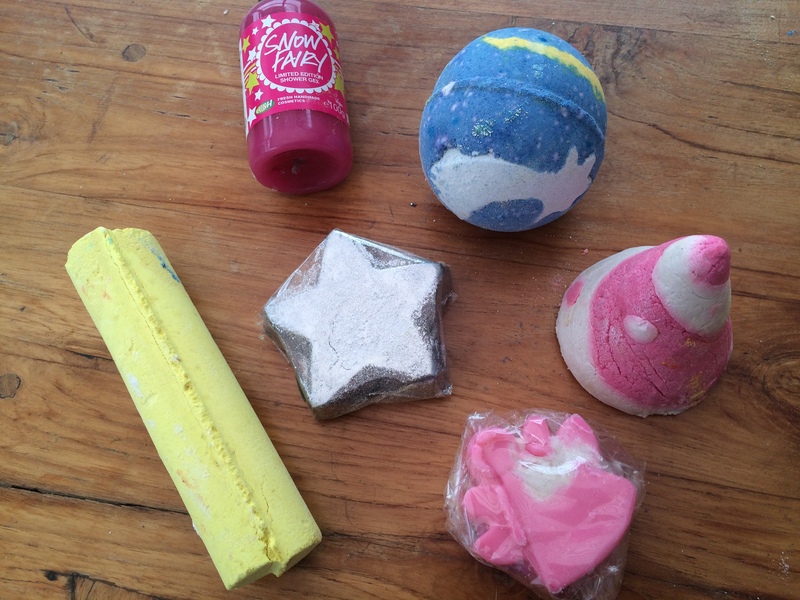 Wow I really love all the lush items mentioned great haul and blog post! New follower! Butterbear is my favourite Lush product even though I’m sure it’s the cheapest thing in the whole shop along with Ickle Baby Bot. 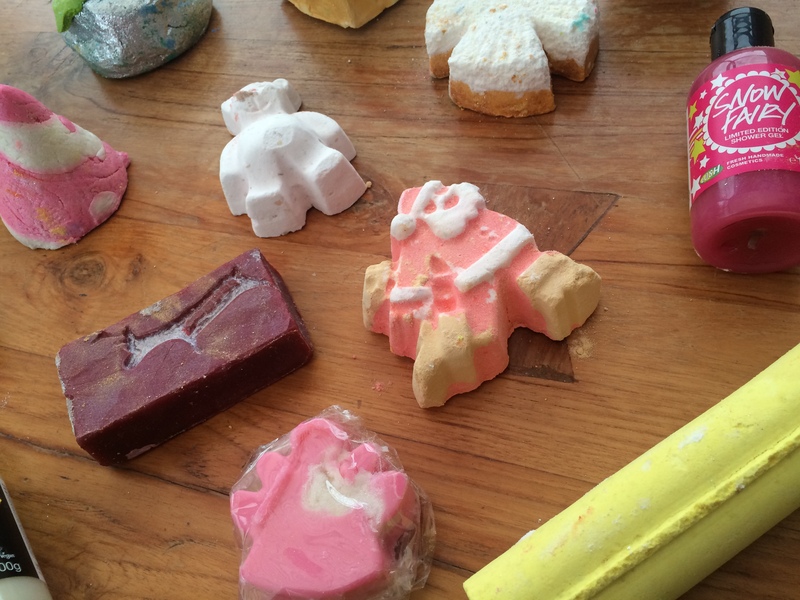 Definitely need to get some new Lush treats soon! Wow what a collection! I missed on some of these and only picked up 6 items from the xmas stock on my latest blogpost ❤ would love to read individual reviews!